The varsity boys' golf team had a very productive weekend in Carrollton at the Trojan Invitational. The team broke 300, shooting 297 for the first time this season and got several low tournament rounds for the season including a 79 from Hank Crawford and an even par 71 from sophomore Knox Sirmans. Lindsey Cordell finished eighth overall with a -2 69 on day 1 and a +1 73 for day two. 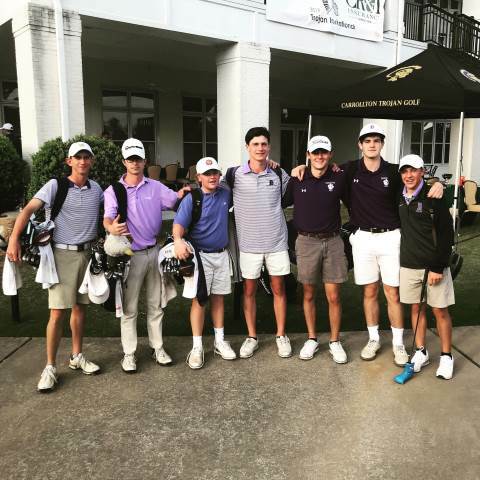 The Tigers will be back in action on Monday, April 15 at Dalton Country Club in their last tournament before the Area Tournament at Cobblestone on April 30.